Dorothy “Dottie” Jane Grace Bennett née Homa, 85 of Hillsboro, Illinois passed away at 10:42 am on Sunday, November, 18, 2018 at Hillsboro Rehabilitation and Healthcare Center in Hillsboro. Dottie was born in Hillsboro on November 15, 1933 to John L. Homa and Beatrice “Bea” J. Homa née Hill. On June 2, 1951, she married Donald E. Bennett in Hillsboro. Dottie’s life began on the family’s 160 acre farm just west of town where she spent her first happy years before the family moved into town. As a child, she spent much of her time playing with her big brother around town, all the while getting into mischief. She honed her quirky wit and sense of humor over family meals that were often loud and enjoyable. She attended Hillsboro High School where she was a cheerleader for four years. She served as lifeguard at the pool for several years. In 1951, she married Don Bennett, the boy next door and the love of her life. After a brief stay in St. Louis, the young couple settled in Lebanon, Illinois where over the years they raised their three sons; Donald, Stephen, and Michael. She was immensely proud of their accomplishments in life. Although she was a stay at home mom for years, when her boys got older, she worked at McKendree College Library as a secretary and also attended classes. Unfortunately, her husband Don passed away while Dot was just 56. Although she missed him always, she used the coming years to continue her love of oil painting at which she had become quite good. A portrait of Charles Dickens she painted hung in The Mermaid Inn in Lebanon. Charles Dickens once stayed there while observing the Looking Glass Prairie on his American tour. She also mastered the dulcimer. She had many friends who shared this with her. They played festivals all over Illinois. She loved the dulcimer and her friends. In her 70’s, she worked to research and produce a family genealogy. Three years ago, she moved back to Hillsboro to be nearer to her family. With her physical health failing, she spent much of her time reading which was something she passionately enjoyed throughout her life. Dottie also had the opportunity to spend time with her family including her great-grandchildren and many of her life long friends. Today however, she is at peace as she has gone to be with her beloved husband, Don. She was preceded in death by her parents, John and Bea Homa; her husband Donald Bennett and her sister, Joan Robinson née Homa. 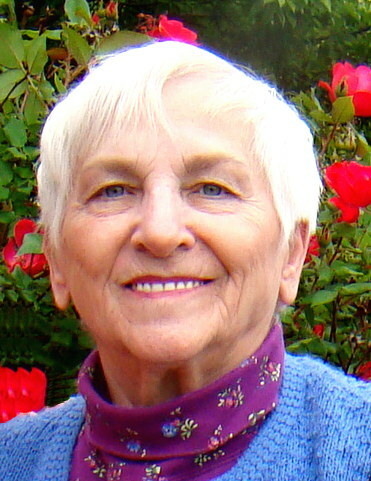 She is survived by her three sons, Donald (Barb) Bennett of Lincoln, Nebraska, Stephen (Kate) Bennett of Hillsboro, Illinois, and Michael (Julie) Bennett of San Diego, California; her four beautiful granddaughters: Leah (Corey) Whitaker, Rachel (Billy) Von Hatten, Erika (Lucas) Lloyd, and Danielle (Shaun) Thurby and great-grandchildren: Nora and Grayson Whitaker, and Bennett and Tucker Von Hatten. She is also survived by her brothers, John A. Homa of Sand Creek, Wisconsin and James R. Homa (Emma) of Braceville, Illinois and by her daughter-in-law Chris Bennett of Highland, Illinois. At Dottie’s request, no visitation or funeral will be held. She will be laid to rest next to her beloved husband Don. An internment and celebration of life will be held privately at College Hill Cemetery in Lebanon, Illinois at a later date. Bass Patton Dean Funeral Home is in charge of local arrangements.